I have been sucked in. Yes, I admit that I have become seduced by the Royal Wedding buzz and I am actually looking forward to Friday. My office is having a social event where tea and biscuits will be served as the coverage plays in the main conference room -- how civilized of us! This morning I was watching The Today Show and I swear, you wouldn't know that anything else was happening besides Wills and Kate's impending nuptials (of course there was brief coverage on all the other important news...Libya, Yemen and Lindsay Lohan). I am curious as to what designer Kate chose for her gown and what all the other fabulous guests will be wearing -- oh, and where in the world are they honeymooning? I am getting girly girl up in here. I am kind of pissed that a Royal Wedding did not occur when I was studying abroad in England...that would have been such a bonus. Besides the Royal Wedding (like how I capitalize it? 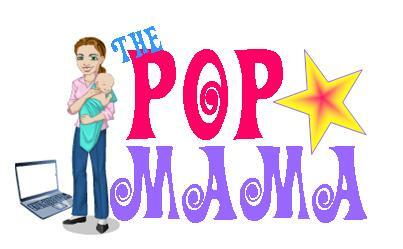 ), there are other things going on in pop parenthood...Bethenny Frankel sold SkinnyGirl (hope it still tastes as good), LeAnn Rimes and Eddie Cibrian got married (don't care), Robyn (4th Sister Wife) is preggo (not surprised), and my baby boy is turning 1 in about a week! I can't believe Cameron is going to be a year old. Where did the time go? It feels like just yesterday that I was bringing him home from the hospital and fretting about breastfeeding. Now he eats with his fingers (sometimes), walks while pushing toys around, claps his hands and says "mama," "dada," and "nana." We are assuming that "nana" is his bonus word to describe, demand and talk about everything else in his world. Life is clicking by at an amazing pace and I am loving the ride...if only Cam didn't think that 5:45am was his new "rise and shine" time. Well, are we really surprised?